Of course, the usual characters were there: Taloch in an antler head-dress, the archdruid Rollo Maughfling splendid in his trademark white robes and a flat cap and Arthur Pendragon, who claims to be the current incarnation of the once, and future, king. But through the icy mist and the smoke of camp fires a different sort of crowd, wearing anoraks and woolly hats rather than ceremonial capes, also emerged to celebrate the winter solstice at Stonehenge. Regulars have noticed that over the last few years the popularity of the winter solstice, a much quieter and gentler affair than the summer version, has grown. As always, the pagans turn up in force to chant and dance and welcome the sun but they are being joined by people of different or no faiths who seem to be there to take a quick break from the pressures of the UK's ever more commercial take on Christmas. 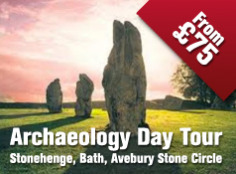 Spiro Marcetic had travelled to the Wiltshire monument from Birmingham with his wife, Alison, and their children – Evie, four, and Hector, two – to get away from it all for a few days. They stayed in a Travelodge down the road (not very druidic) and pushed the children under the subway and up to the stones in a double-buggy. "We're here for an anti-religious reason, if any," said Alison. "Pagans seem to have more fun so we'd thought we'd give it a go. We'll be celebrating Christmas but this is about showing the children that this season isn't just about getting presents. What goes on here is more basic, more tangible." Jill and her 10-year-old daughter Jasmine are Stonehenge regulars. But this year they brought along Jasmine's classmate, Ifu, and her father, Ken, who are not pagans, to show them what it was all about. Ken said: "I think we found it very spiritual, very moving. It's a great experience." Jill added: "For us this time of year is about starting to come out of the dark. It's a very positive time of year. I think people who aren't pagans come here to enjoy that feeling too." But as a mother of five and grandmother of four, Jill admits she feels compelled to celebrate Christmas, too. "I don't have much choice but we do it as modestly as possible." A couple of thousand people turned out for the winter solstice last year. There were around 600 , the numbers probably down because it was fiercely cold and the roads around Stonehenge were treacherous. Around 300 others had turned up yesterday, believing that English Heritage was going to allow open access to the site – a chance to stray from the paths, spend time in the centre of the circle and actually touch the huge hunks of stone – on December 21. But the celebration does not always fall on the same date as the solstice because the modern year does not correspond precisely to the solar one. 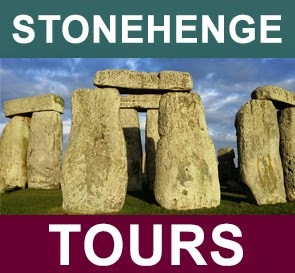 English Heritage took pity and allowed them in anyway. 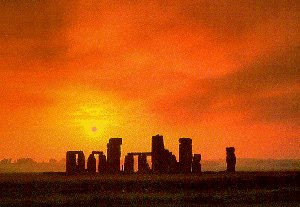 The winter solstice occured yesterday evening but many druid and pagan communities saw today as the first dawn after the solstice. The archdruid Rollo launched proceedings. Little Evie emerged from her blankets to join in a chant encouraging world peace. As Rollo strayed into politics, hoping that some good may come out of the climate change talks in Copenhagen, Hector sought comfort in a Crunchie bar. Another 10-year-old, Ashvini, kept warm by playing snowballs with his dad, Dheeraj Kulshrestha, after possibly the longest journey of everyone. They were stopping off in London en route from Ohio to India and decided to make the pilgrimage to Stonehenge for the solstice. The trip took them eight hours. "But it's been worth it," said Kulshrestha. "This is a unique experience." Eight-year-old Ben, from Devon, didn't sound so sure. "It's cold and I want to go home and play games on my computer." What were his hopes for the season? "A new computer game."